Enjoy your Winter Formal in Style with us! 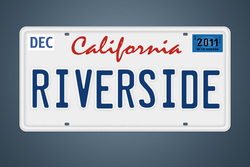 No matter what the occasion, we here at Riverside Limo Rental are prepared to get you there in style. We love transporting our youth to any and all school dances and parties. The prom homecoming and winter formals are the most requested events, but no matter the event let us be the transportation company for you. We are very professional and reasonably priced. Our drivers are courteous and always look to put your needs first. You will not find a more professional, caring limousine company in the Riverside area. We know how to make you look good and we go the extra mile to ensure you have the time of your life. With us you know you are riding in a safe vehicle, since we inspect our limousines and other vehicles on a regular basis. No vehicle is allowed to leave our lot without a thorough inspection and cleaning. So you can rest assured that your loved ones will be well taken care of and safe in our care. So don't hesitate to give us a call at 951-363-2488 and speak with one of our customer service representatives to determine the best vehicles for your next event. In fact come visit our showroom to see the limousines in person to make sure they meet your level of comfort. We love making your day and you will not be disappointed when you go with our services. ﻿2015 Copyright @ Riverside Limo Rental. All rights reserved.